Rottenlead: Terrain Part II Un-boxing roads. Terrain Part II Un-boxing roads. Un-boxing is a popular Youtube topic, mostly for people opening exciting new technical gadgetry. In this video I am opening some new perspex roads from www.s6engineering.co.uk who are producing cut sections of perspex for 28mm, 15mm and 6mm gaming. You can see how clumsy I am opening the box and how I fail with a pair of scissors. 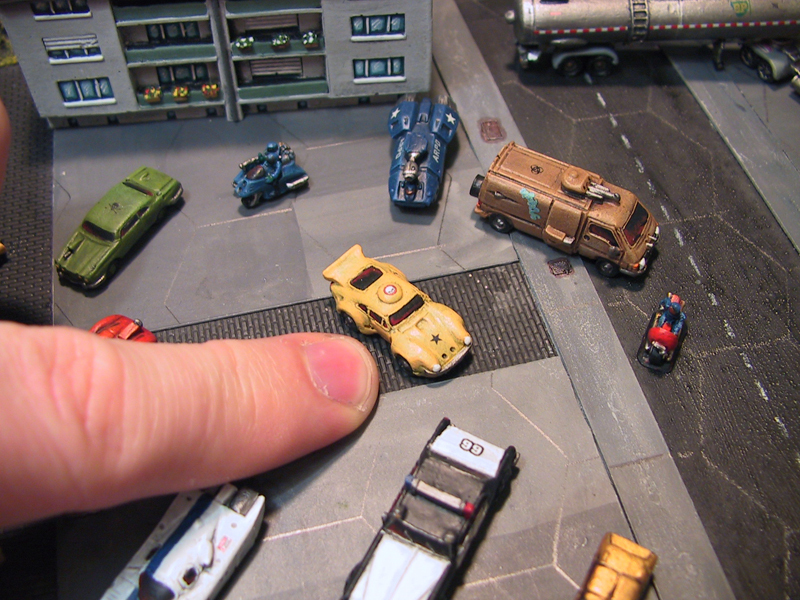 It was incredibly fortuitous that I discovered these roads just as I started the terrain project and they are perfect for making a city block area without the usual struggle needed to find something the right scale for 15mm SCI-FI miniatures. They also look great, are easy to layout and are low cost. If you are outside of the UK they also come in a flat-package so shipping costs are low. 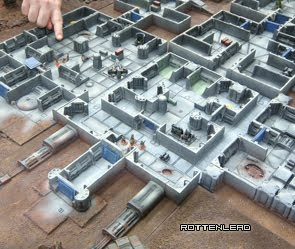 I also play a lot of 6mm scale games mostly Future War Commander or Battletech and these same small scale roads will be perfect for 1:300th and 6mm. Scott at S6 was very helpful in the ordering process and has some great new product coming soon. I used some textured spray paint on the perspex, which I bought at B&Q (A UK home / DIY store) and was surprised with the quick result on the roads. It gave them a very quick textured finish with minimal prep work required. Details of the spray used are in the video. 1) They did not seam very well packed. I wonder if any corners will get chipped? 2) With them being shiny I can see they will slide around a table if not glued down. Shame they do not have clips or locking pieces to keep them together. I do like the look of these road pieces - I use predominantly 'floating' terrain on a board so think using some tape on the underside to link the sections together may work and minimize 'slippage'. The S6 bridges look usable for 15mm too. @ADB: They are perspex so rock solid, I really don't think they will chip in transit. Normal resin is more likely to chip. As far as shiny is concerned you could easily rough the bottom of them. I would suggest you sprayed a small amount of Plasti-kote on the undersides if you wanted to prevent slippage. BTW - that tower block in the video - where? how? who? when? It is a Kato tower block. N-Scale Japanese model for model trains. Did you clean up or undercoat the road sections before spraying? I've bought some from S6 because yours looked so good, especially with the rust-oleum on, and because S6 are now doing a 6mm bridge which is really useful. @commanderroj. They were just straight out of the package. I sprayed directly onto them.